American Honda Motor Co. has no reason to be spooked during the Halloween month of October. The automaker posted a new October record in 2015 based on the strength of Honda’s car and light truck sales, and record sales of the Acura TLX. 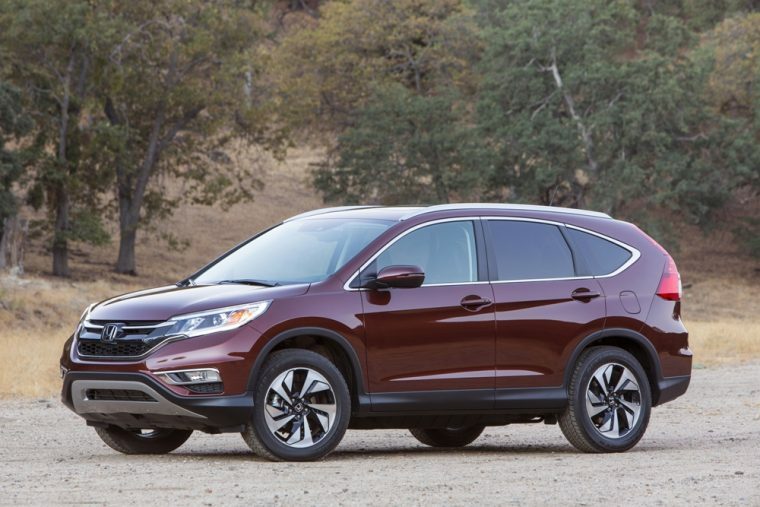 Last month, the Honda and Acura brands both demonstrated strength but in different areas. 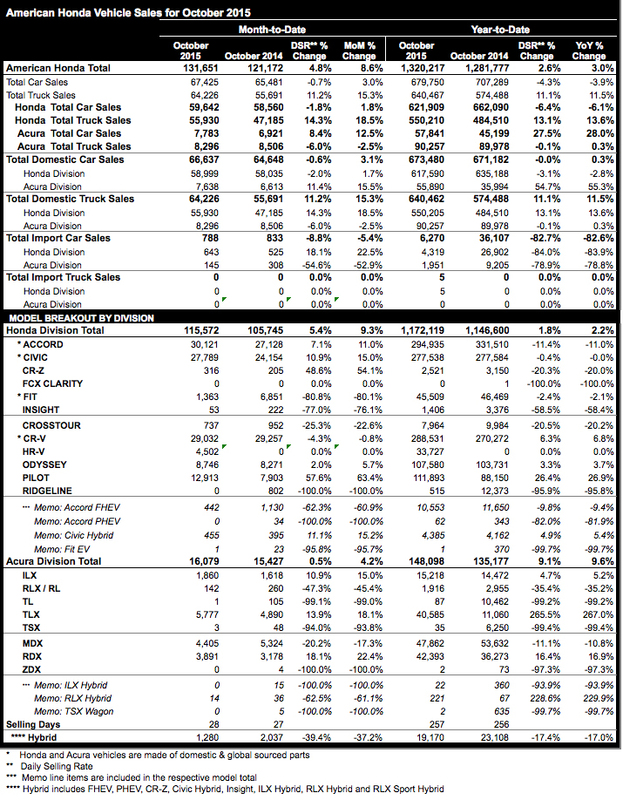 Combined, the two divisions sold 131,651 vehicles, up 8.6% in year-over-year sales. The Honda division sales hit 115,572 units, up 9.3%. Truck sales were key, with an increase of 18.5%. According to Honda Division senior vice president and general manager Jeff Conrad, light trucks are an area where consumers are clamoring for more Hondas. “With demand continuing to outstrip supply for the all-new Pilot and HR-V it really shows the incredible potential for our lineup of Honda light trucks,” Conrad said. The Civic was up 15% ahead of the launch of the new 2016 model, which Conrad predicts will spark a strong finish to the year. Acura’s TLX sales of 5,777 units represented an 18.1% increase, an all-time record. Acura sedan sales totaled more than 7,000 units. “We continue to strengthen the foundation of the Acura brand on the growing strength of sedan sales,” said Jon Ikeda, vice president and general manager of the Acura division.